I'm slowly working on buying/crafting little home decor items for our new house to make it look more loved and lived in :) My latest addition has been these cute little yarn pom-pom flowers! They are super easy to make and pretty cheap too! All you need is yarn, wire cutters, floral wire, and scissors. Twist the wire around itself to secure in place. Alright, but a little scraggly. Use scissor again to give the pom a nice little hair cut! A few more snips, two more flowers, a cute little vase, and voila! 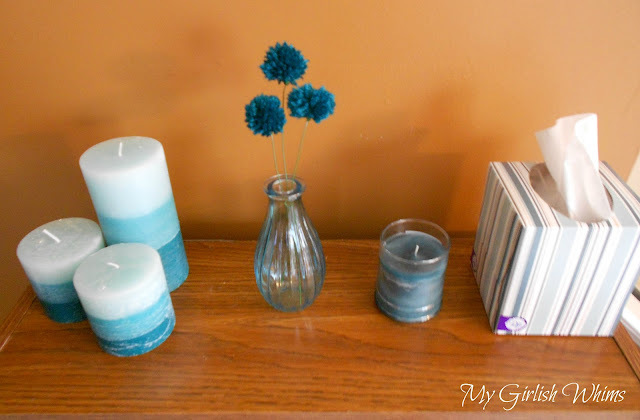 I have them sitting on our bookcase in out family room with some candles, I think they add a cute little touch! I think I will make some more for other spots in the house! These are adorable! It doesn't even look like yarn in that last pic! Hi! I just found your blog! This is a really cute idea! Thanks for sharing! Simple and cute, I love it! I love how simple these are! Thanks for sharing! these are so stinkin cute ... and your little display is so sweet! 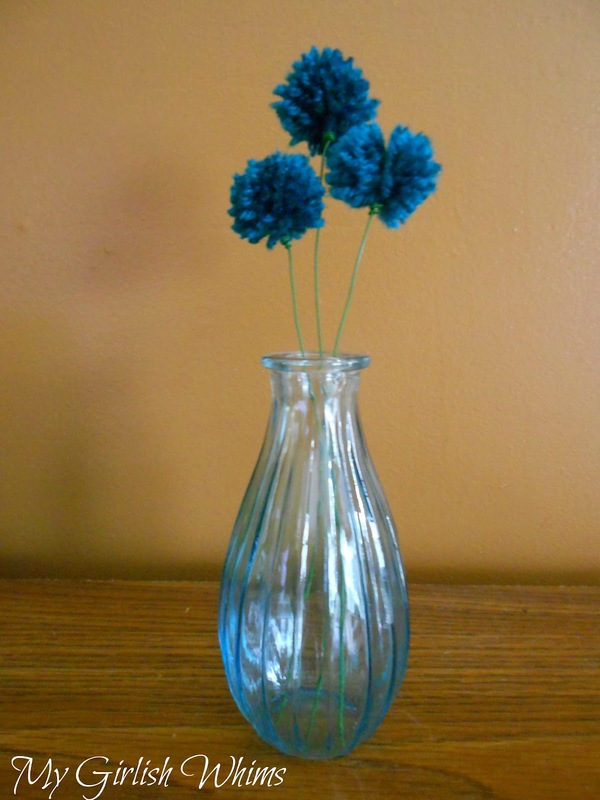 I love the design of the beautiful DIY yarn pom flowers cause I'am a sewing lover. How interesting ! And these small cute knitted flowers look so pretty and simple! I can't wait to have a try.Thank you for sharing this DIY project.